118H868 - Machine washable. Flutter sleeves. 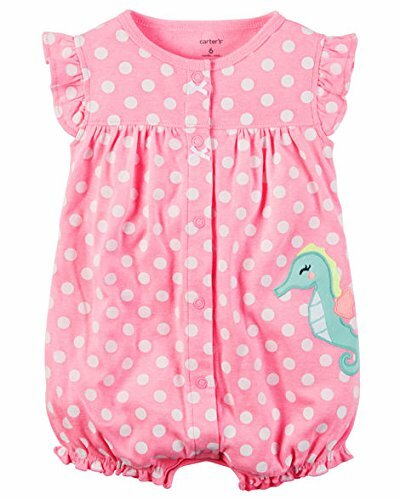 Crafted in soft cotton, this one piece from Carter's is sure to be your favorite with its colorful dino print allover. Nickel-free snaps on reinforced panel. Snap up design. Cotton. Carter's 121I478 - Nickel-free snaps on reinforced panel. Cap-sleeves with flutter details. 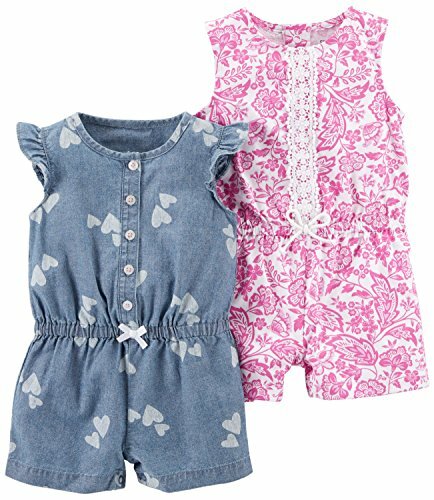 Set of 2 snap up rompers crafted in baby soft cotton featuring allover prints, embroidery, and appliques. Ruffled cuffs. CARTERS 118G943 - Crew neck. 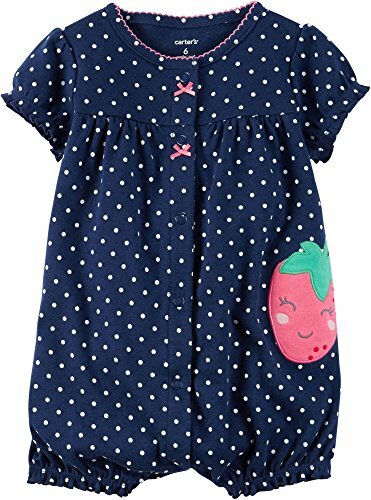 This charming polka dot patterned snap up romper from Carter's features a sweet strawberry applique design. Short sleeves. Snap front closures. Polka dot pattern. Featured in navy. Carter's 118G950 - Cross-dyed neon. 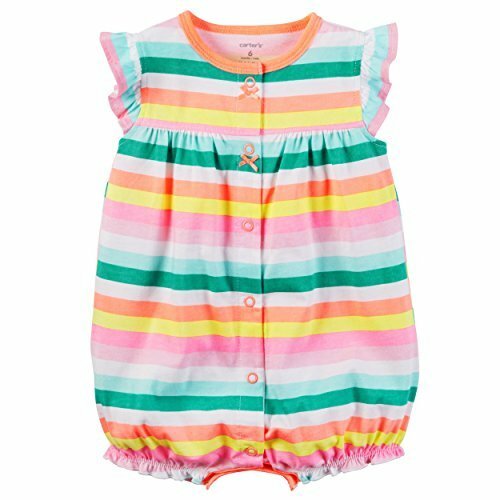 She'll be as sweet as can be in this multicolor striped snap up romper from Carter's which features a cupcake applique on the rear. Tacked satin bows with clinched cuffs. Snap-front design - Nickel free snaps on reinforced panel. All over polka dot print - Applique seahorse. Flutter sleeves. 118G954 - Snap-front design, nickel-free snaps on reinforced panel. 100% cotton. She will be ready for playtime in no time in this easy 1-piece outfit. Machine wash.
Carters KBC 118H35-2 - Hoodies are lined with jersey fabric. Super warm and cozy this zip up jumpsuit keeps baby warm from dawn to dusk, includes 2 Zip front design. Ribbed cuffs and neckline. Front pocket details. 118H255 - Crew neckline. Flutter sleeves. 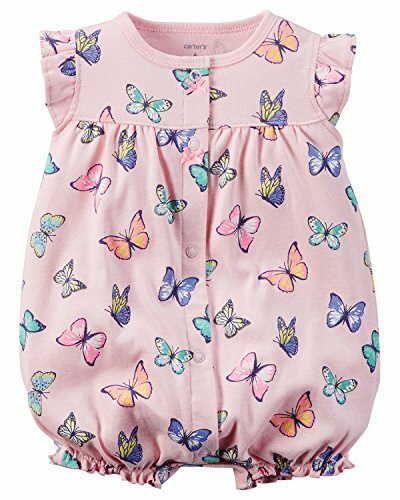 A multicolor butterfly pattern adds charming style to this flutter sleeve creeper by Carter's. Butterfly pattern. Featured in pink. Snap front closures. 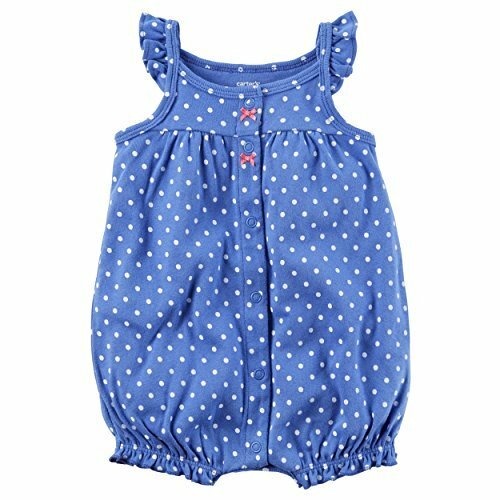 Carters 118H108 - S17 1 piece hd girl 1 piece sun suit blue Built-in bodysuit. Pocket detail. Allover stripes. Nickel-free snaps on reinforced panel. Front button placket. Carters 118G948 - Flutter sleeves. Tacked satin bows with clinched cuffs. 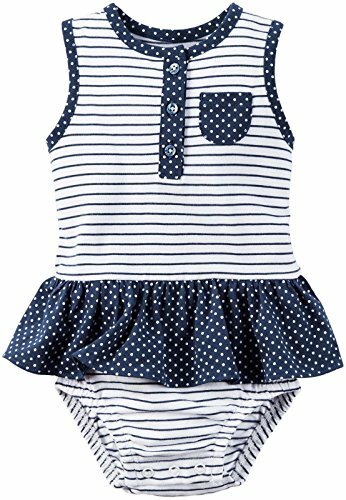 This charming polka dot jumpsuit from Carter's features an adorable sea horse character applique. Snap-front design - Nickel free snaps on reinforced panel. Cross-dyed neon. All over polka dot print - Applique seahorse. - Ombre pattern. Button closure. Square neckline. 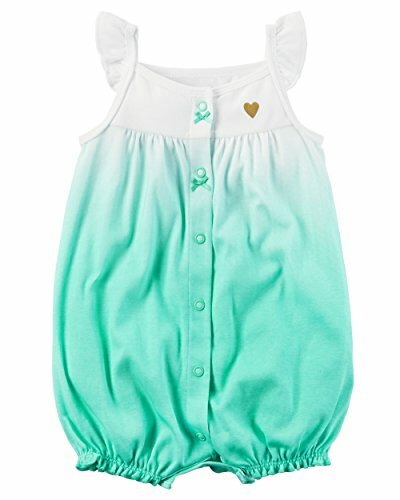 She'll be cute as a button in this Carter's sunsuit featuring an attractive ombre pattern. Cotton. Flutter strap design. - Nickel-free snaps on reinforced panel. 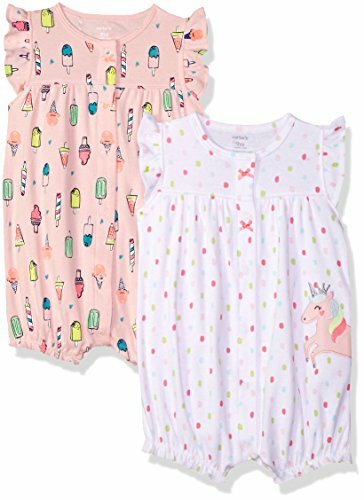 Crafted with super soft cotton and lots of love, these adorable rompers keeps getting dressed a snap. Snap-front design. 2 pack.